Despite their reputation as disease-causing pathogens, many bacteria play a vital role in ecosystems simply by feeding on and metabolizing organic and inorganic molecules in their environment. Their contributions include releasing nutrients stored in organic material during decomposition, breaking down food in the gut of animals during digestion, fixing nitrogen in the soil by converting N2 gas to ammonia, making nutrients available to plant roots in soil and releasing oxygen into the atmosphere. Two factors determine the way bacteria obtain nutrients: the ability to produce their own food or the reliance on consuming preformed organic molecules and secondly, the type of energy they require for these chemical reactions to occur. Two general means allow for procuring food for all organisms, including bacteria: heterotrophic and autotrophic. Heterotrophs must consume organic material, such as glucose, from outside the cell to obtain energy. This occurs by the direct consumption of carbon in the form of carbohydrates molecules. Autotrophs obtain nutrients by producing their own organic materials when they take in carbon dioxide and convert it into carbohydrates. Bacteria require an external energy source in the form of light energy or chemical energy to fuel their metabolism, which is another factor that determines their feeding method. Phototrophs are bacteria that use light energy. Both photoheterotrophs and photoautotrophs require sunlight. Photoheterotrophs use sunlight to provide energy and consume organic compounds from their environment for their source of carbon. Photoautotrophs, like cyanobacteria, employ light energy in the form of sunlight and carbon dioxide from their environment and use them both to produce carbohydrates through the process of photosynthesis. Instead of sunlight, some bacteria rely on reactions with inorganic chemical compounds for their source of energy. Bacteria fueled by chemical energy are known as chemotrophs. Chemoheterotrophs use organic or inorganic compounds as a source of energy. Like photoheterotrophs, they must also consume carbohydrates in the form of organic compounds. Chemoautotrophs use chemical energy to produce carbohydrates from carbon dioxide in a process call chemosynthesis. Bacterial cells are bound by a cell envelope that consists of an inner cytoplasmic membrane and an outer cell wall. The cell wall is rigid and, like cell wall in plant cells, gives bacteria their shape. Unlike plant, animal, protist or fungi cells, bacteria do not have membrane-bound organelles or a nucleus. The lack of organelles prevents bacteria from engulfing particles through endocytosis or phagocytosis, techniques used by eukaryotic cells to envelop external materials and bring them into the cell. Bacteria rely on diffusion to move molecules into the cell through the cytoplasmic membrane. Bacteria also excrete enzymes to dissolve molecules outside the cell to allow them to pass through the membrane via diffusion, a process where molecules move from an area of higher concentration to an area of lower concentration. Sometimes simple diffusion needs assistance from proteins to allow molecules to pass into the cell, a process called facilitated diffusion. Another method -- active transport -- requires energy to transport molecules to overcome the concentration gradient and allow particles to pass through the membrane. 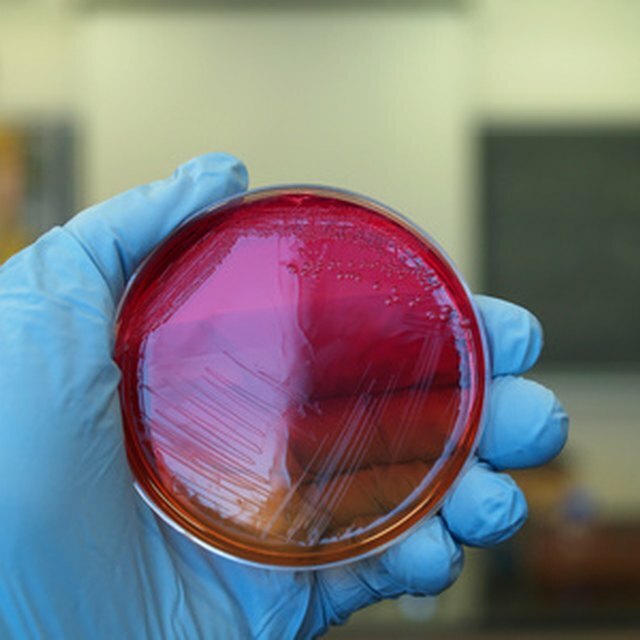 University of California Santa Barbara Science Line: How Do Eubacteria Obtain Food? Mentzer, A.P.. "How Do Bacteria Feed?" Sciencing, https://sciencing.com/bacteria-feed-4573997.html. 17 April 2018.